Mountain Harvest Organics was established with the goal of supplying our community with fresh food grown and raised using sustainable and healthy farming practices.We love sharing our journey with you while you vacation on the farm. We’ve been production farming for over 20 years, and as we near retirement we are scaling back on our production so we can share our farming journey with you. 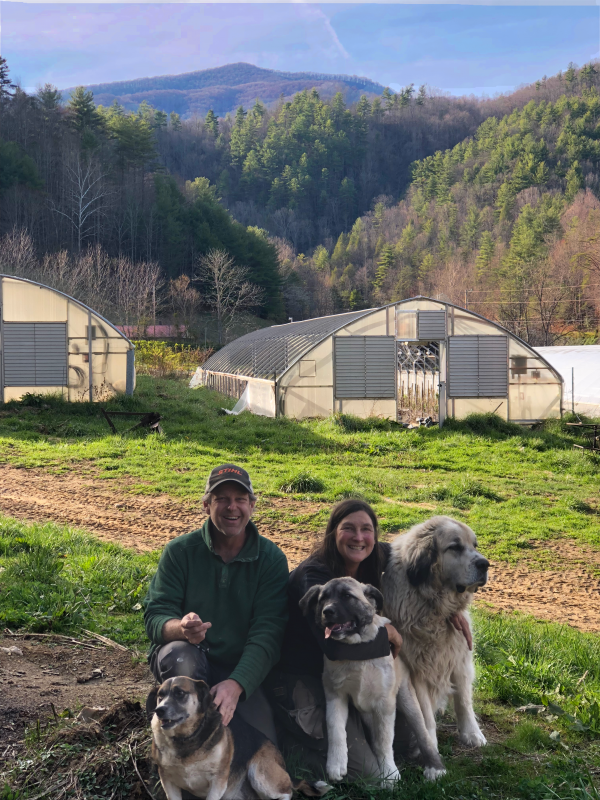 Mountain Harvest Organics (MHO) was founded by Carl Evans and Julie Mansfield.MHO offers opportunities for people to vacation on an organic farm. The farm is a blend of the modern small farm agriculture movement, while also an example of a traditional Appalachian Farm in operation at the turn of the century.We are highly diversified with vegetables, pigs, dairy cows and chickens. Do yourself a favor and book a farm-stay with us to experience life on a traditional Appalachian farm.We are centrally located between Waynesville, Asheville and Pigeon Forge.Cataloochee, Cades Cove and the Smoky Mountain National Park are just a day drip from our location.